Andrea’s practice focuses on corporate finance, mergers and acquisitions, corporate governance, executive compensation and general corporate matters. Andrea has extensive corporate finance experience on domestic and cross border equity and debt financings. She also has significant mergers and acquisitions experience, in take-over bids, proxy contests, negotiated mergers and acquisitions and a range of corporate transactions and restructurings. She is a frequent advisor to boards and special committees. Andrea routinely advises companies in the mining and energy sectors. Andrea’s practice includes corporate governance matters such as the preparation of disclosure and advising on best practices. Andrea’s leading expertise has been recognized by Lexpert, International Financial Law Review (IFLR) and Best Lawyers. 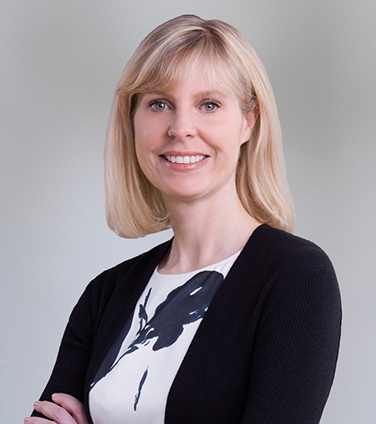 Andrea is a member of the Alberta Securities Commission Advisory Committee. Andrea has also practised in the firm’s New York office. Tervita Corporation, in its $3.5 billion recapitalization transaction under the Canada Business Corporations Act. Trident Exploration Corp. in its $300 million recapitalization transaction under the Canada Business Corporations Act. Precision Drilling Corporation in its offering of US$400 Million 7.125% Senior Notes due 2026. Special Committee of the Board of Directors of Legacy Oil + Gas Inc. in connection with activist shareholder matters and Legacy’s $1.5 billion acquisition by Crescent Point Energy Corp.
Delphi Energy Corp. in its sale of common shares and offering of senior secured notes for approximately $65.3 million. Independent Committee of Board of Directors of Zedi Inc. in its sale to a management led group. 2SV Capital, Tuckerman Capital and Right Lane Capital in their acquisition of Galvanic Applied Sciences Inc.
NOVA Chemicals Corporation in its $500 million issuance of 5.25% Senior Notes due 2023. URS Corporation in its $1.2 billion acquisition of Flint Energy Services Ltd.
Winsway Coking Coal Holdings Limited and Marubeni Corporation in their $1 billion acquisition of Grande Cache Coal Corporation. Trident Exploration Corp. in its $175 million offering of Senior Unsecured Notes. NOVA Chemicals Corporation in its acquisition by International Petroleum Investment Company. Morgan Stanley, Deutsche Bank, RBC Dominion Securities and a syndicate of underwriters in the US$660 million cross-border initial public offering of Smart Technologies Inc.
Canadian Oil Sands Trust in its conversion into a corporate structure. Wentworth Resources Limited in connection with its rights offering, Norwegian public offering and AIM listing. Delphi Energy Corp. in its acquisition of Fairmount Energy Inc.
Citadel Capital and National Petroleum Company in connection with its acquisition of Rally Energy Corp.
First Reserve Corporation in connection with its acquisition of Saxon Energy Services Inc. Shell Canada Limited in its $2.4 billion acquisition of BlackRock Ventures Inc.
BA Energy Inc. in its $120 million private equity financing. National Bank Financial in the Canadian Energy Services L.P. initial public offering. Elevation Partners L.P. in connection with its disposition of Bioware Corporation. Lexpert Guide to Leading US/Canada Cross-Border Corporate Lawyers in Canada, 2012: "Leading Canadian Corporate Lawyers to Watch"
Acritas Stars, 2018-2019: Star Lawyer. 2017 Outlook – Impacts for Alberta Businesses – M&A in the Energy Space, Osler Seminar, January 18, 2017. New CSA Amendments Streamline Disclosure for Venture Issuers (co-author), Osler Update, April 15, 2015. New Prospectus Exemptions to Facilitate Rights Offerings and Capital Raising from Existing Investors, Osler Update, December 11, 2014. Quoted Art of the Deal: What is it really like working on an energy deal? A look at how URS Corporation acquired Flint Energy Services Ltd. for $1.25 billion, Lexpert Magazine, September 2012, Marzena Czarnecka. Shareholder Activism - The New Takeover?, Osler Seminar, November 21, 2012. Disclosure Best Practices for Dual Listed Canadian Companies: Mineral Reserve and Resources Estimates and Oil and Gas Reserves (presentation), 56th Annual Rocky Mountain Mineral Law Institute, Banff, Alberta, July 22, 2010 (co-presented). Executive Compensation – What are the Issues for Directors?, presented at the Institute of Corporate Directors November 5, 2008. Risk Management in Mergers and Acquisitions, presented at the Canadian Corporate counsel Association on January 23, 2008.